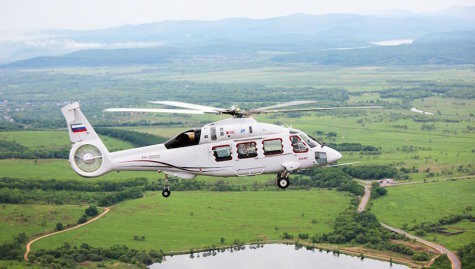 Experts of the Progress Arsenyev Aviation Company of the Russian Helicopters holding company (a member of the Rostec State Corporation) prepare the flight model of the Ka-62 multirole helicopter for preliminary flight tests. Body structures of the anti-torque rotor and the tail group have been improved, and a typical design transmission has been installed. As expected, the preliminary test phase for Ka-62 certification will start by the end of 2018. The Ka-62 project entered its active stage of implementation in 2012 by a demonstration of the improved design mock-up helicopter at the HeliRussia 2018 International Exhibition of Helicopter Industry. It was expected to commence certification of the vehicle three years later, but the results of first tests required some improvements. As of today, the Russian Helicopters holding company has overcome all technical challenges, and the project has been developing in compliance with the schedule since December 2016. Three prototypes of Ka-62 have been built bythe Progress Arsenyev Aviation Company. According to the approved plan, the first helicopter will be subjected to vibration frequency tests in mid-July to verify the efficiency of new improvements. If the test results so require, additional improvements will be made in the body structures of the anti-torque rotor and the tail group of all three flight models of helicopters. The second flight model of Ka-62 has been delivered to the test checks and electrical systems workshop. Its on-board system will be tested in a computer-simulated environment and recalibrated. The third flight model of this vehicle will be tested soon thereafter.